It’s also up for an Impact Award, another initiative by our pals at Agentic Digital Media and Story Money Impact (Read about the Impact Awards below). Harold co-wrote The Corporation’s narration and I’m excited to see him tackle such an important social justice topic as tax havens. Harold was also on the street in NYC during Occupy, and knows first-hand how strongly current the issue of economic justice is. The scale of tax evasion by the world's wealthy and the world's wealthiest corporations is simply staggering. Among the tax justice activists featured in the film are familiar names such as John Christensen, Nick Shaxson, James Henry, Alain Deneault and Krishen Mehta, as well as Robin Hood Tax activist Dr. William Barclay of the Chicago Political Economy Group, former French banker Daniel Lebègue of Transparency International, as well as National Nurses United, the largest union and professional association of registered nurses in America. 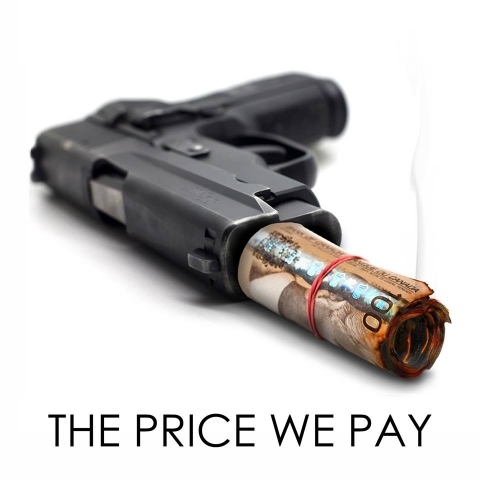 "Near miraculous, terrific bit of journalism, riveting"
The Price We Pay is produced by Nathalie Barton and InformAction Films with the collaboration of Ici Radio-Canada and Filmoption International.